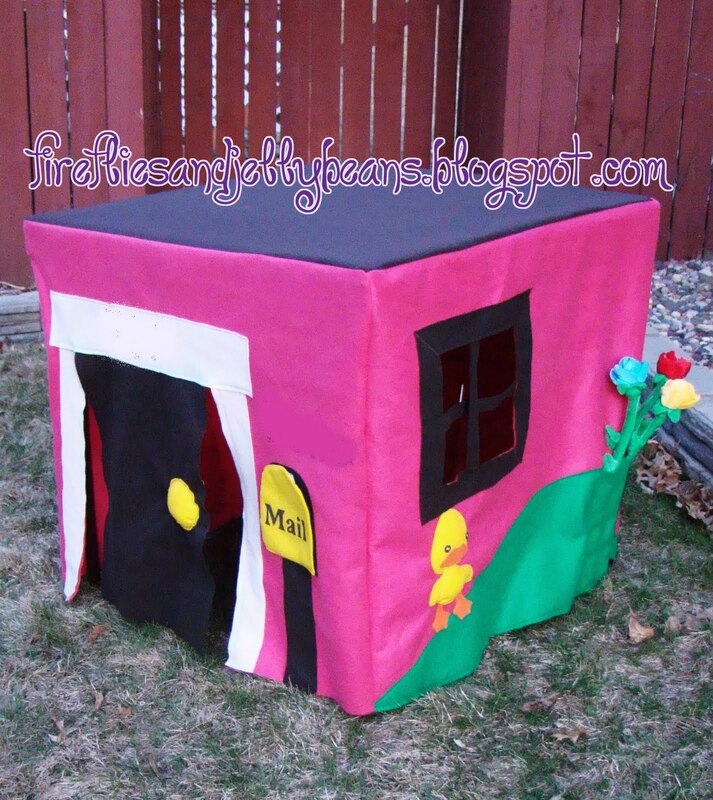 Fireflies and Jellybeans: Felt House Along - The Big Reveal! We Finished! Hooray! Here is my finished Playhouse! Here is a look at each side! I hope the little girl that this is going to LOVES it! 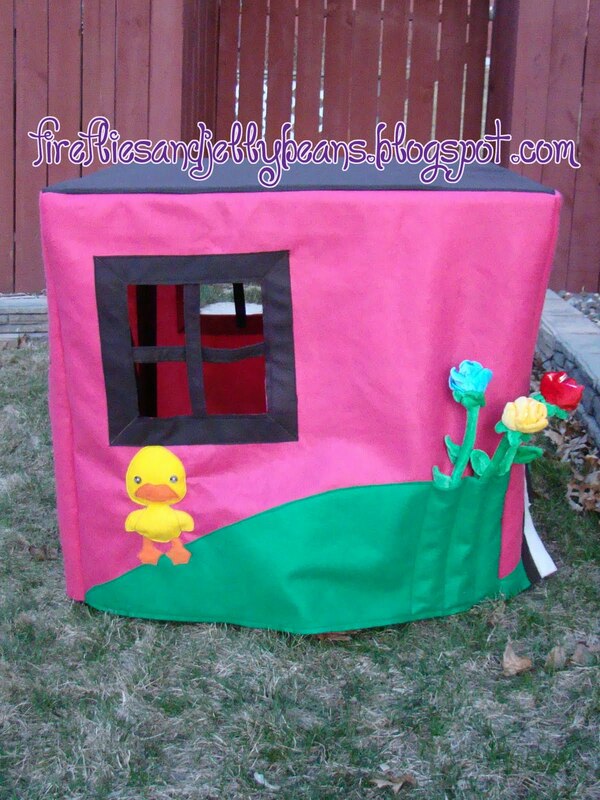 Follow along and make your own with our Felt-House-Along! Week 5- Sewing Side 4, putting on the lettering and sewing it all together! I L O V E it!!!!! that duck is the cutest thing I have ever seen. 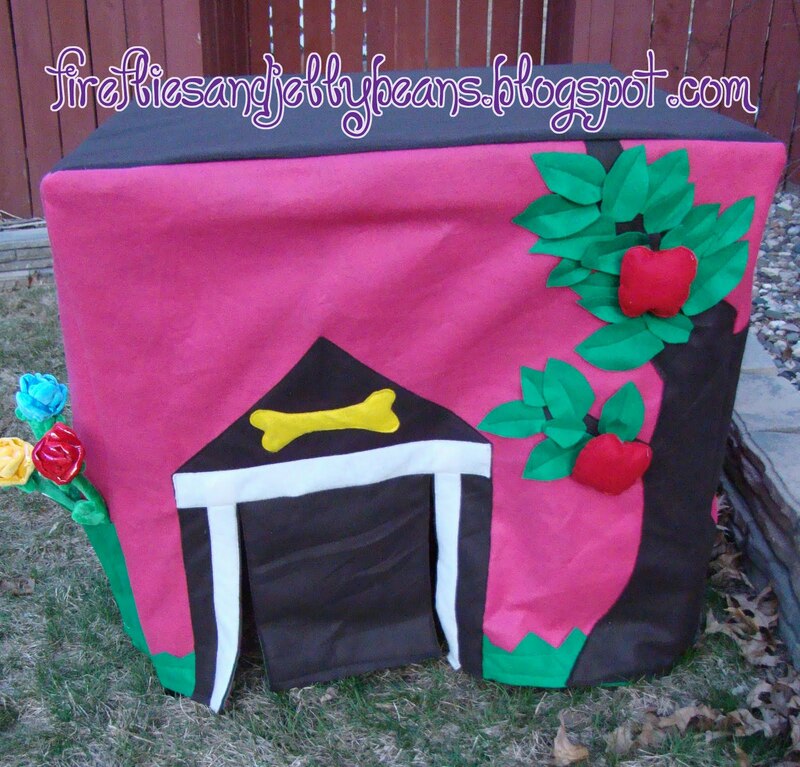 and the doggie door really turned out sweet! I'm getting so close!! I'll try to finish up and get a post and link by the end of the weekend! It's great!! 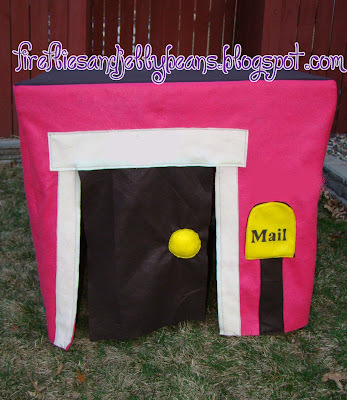 I love the doggie door ... great idea!! Its so cute! Mine is getting close. Its been a lot of fun to make. Mine will hopefully be done by this weekend. I just keep adding small little touches to it such as a door bell, porch light etc. I better do it now before I sew it all together. I need to cut down my pvc frame a bit too which Ill do once it is sewn. I can't wait to see the others. So fun! I just found this last week, so I am a bit late. But I followed your tutorial to make a house for my daughter. Thanks so much, I hope it's ok I still linked up, and linked to your blog on my post today. Thanks! 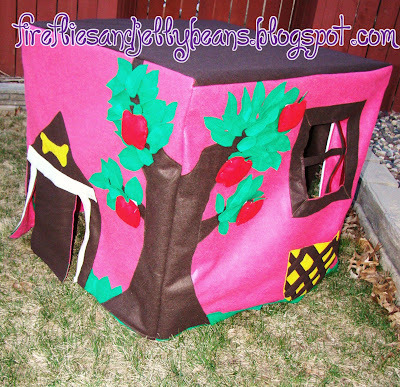 Hi Fawnda - I'm putting together a Handmade Holiday Gift Guide and I'm including your felt house. I grabbed a picture, and linked back to you - but let me know if there is a problem using the image. 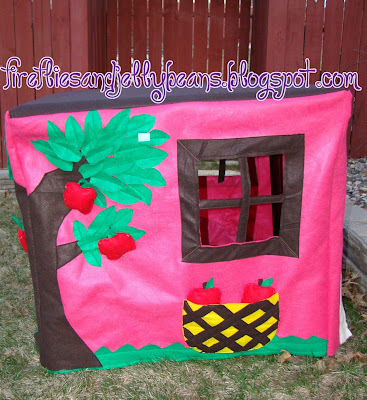 I just finished my own felt playhouse. I started looking around for inspiration for a second one and saw yours via pinterest. I love your doghouse--what a cute idea!